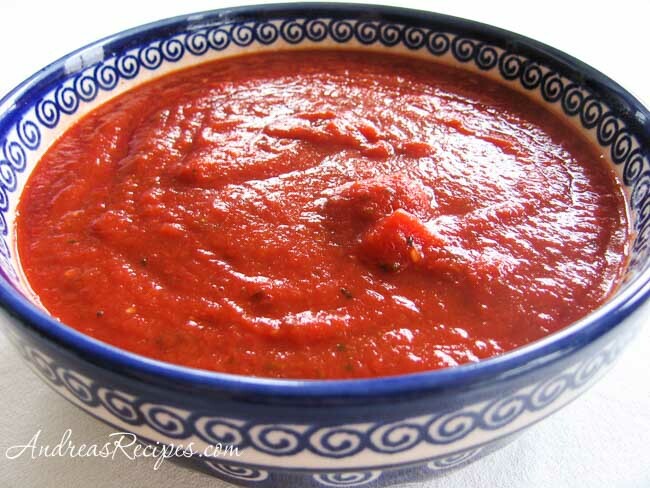 This is Michael’s mom’s spaghetti sauce, the one he grew up with. His mom has quite a sense of humor. She jokes that she isn’t Italian so she can’t make Italian spaghetti, but she’s Polish so she can make “Polish spaghetti.” Authentic or not, it’s a good, easy multi-purpose sauce that you can use for spaghetti and meatballs, lasagna, or other baked pasta dishes, and you can cook it all day in the slow cooker or in a couple hours on the stove. A Meyers family favorite adapted from Ann Meyers. Naturally gluten-free. Slow cooker: Put all ingredients in the slow cooker and stir. Cook on high for 1 hour and then on low for 6 hours or more. Remove the bay leaves before serving. Stove: Put all ingredients in the 6-quart pot and stir. Cover and cook on medium until the sauce just begins to boil, then reduce heat to low and simmer for about 2-1/2 hours. Remove the bay leaves before serving. This makes an all-purpose sauce that we use for many things. Throw in some meatballs during the last two hours of cooking, or use the sauce for lasagna. Any suggestions for using and converting to fresh minced garlic vs. dried garlic? Hi Hap. I have used both fresh and dried garlic in the sauce, and the answer depends on what type of dried garlic you use. If using garlic powder, use about 1/8 teaspoon for each clove of fresh garlic. If using dried minced garlic, try 1/2 teaspoon dry in for each clove of fresh garlic. Let me know how it turns out for you! can I use fresh tomatoes? Hi Martha. Yes, you can use fresh tomatoes. You may can to precook them and remove the skins, and then chop or crush them to make the sauce. 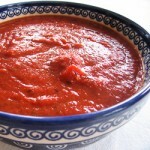 I freeze extra sauce in quart containers and them thaw them out when needed. Thanks!